Two cousins, Elon Musk and Lyndon Rive, have revealed a mega plan that will likely transform the world’s energy sector. Over the years, Musk and Rive have been friends and business partners. Rive’s SolarCity Corp (NASDAQ:SCTY), where Musk is also a board member, has been selling Musk’s Tesla Motors Inc (NASDAQ:TSLA) batteries. Just recently, Tesla Motors Inc (NASDAQ:TSLA) won the approval of Nevada legislators to set up a $5 billion gigafactory for the manufacture of lithium-ion batteries within the State. Musk revealed Wednesday in a conference that the factory will surpass the current world battery manufacture capacity that combines all batteries, including the ones used in mobile devices and cars. In the same conference, Musk went further to say that part of the factory’s capacity will spared for the construction of a “grid-scale storage” facility. Looking at Musk’s Tesla Motors Inc (NASDAQ:TSLA) and Rive’s SolarCity Corp (NASDAQ:SCTY), this grand project just calls for another partnership that will see the two companies complement each other just as they’ve been doing, but now on an expanded scale. Tesla Motors Inc (NASDAQ:TSLA) has been making batteries for SolarCity Corp (NASDAQ:SCTY), some of which are sold alongside solar panels as energy storage options. 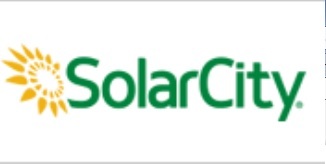 Through its sale of solar panels, energy audits, and installations, SolarCity Corp (NASDAQ:SCTY) has since its foundation in 2006 realized consistent growth of 100% every financial year. Owing to its capacity, the high sale of batteries, and the growing demand by many Americans for alternative energy sources, makes Rive’s company a viable partner in chatting the way forward for Musk’s plant. The two companies are taking a strategic approach at the same time while getting ready for increased demand for electric cars. Musk’s company makes electric cars, and so are some other companies. With more environmental advocates and government agencies vouching for electric cars, the demand for electricity might be too much for the current capacity to handle, opening doors for tapping in solar power, just what SolarCity Corp (NASDAQ:SCTY) offers. However, a closer look at the idea presents some other fears. For example, the factory by Tesla Motors Inc (NASDAQ:TSLA) could become obsolete at inception if a futuristic technology comes into the market. The same fears are shared by Rive’s SolarCity Corp (NASDAQ:SCTY) which also plans to build own solar panels. That storage + solar plan has been in the making for well over a decade now. Grid tied battery backup solar systems have been available on the market since 1999. All the components that are needed are off the shelf items. SolarCity may have access to Tesla’s batteries a decade from now but battery tech that’s available to all solar PV dealers (not just SolarCity) is rapidly leaving the lab and entering the marketplace. Although I applaud Musk’s efforts, you should realize that the battery backed, grid tie solar market has very few barriers to entry which will mean plenty of competitors for SolarCity and Tesla to deal with.